was to find a way to make metallic images to apply to furniture. 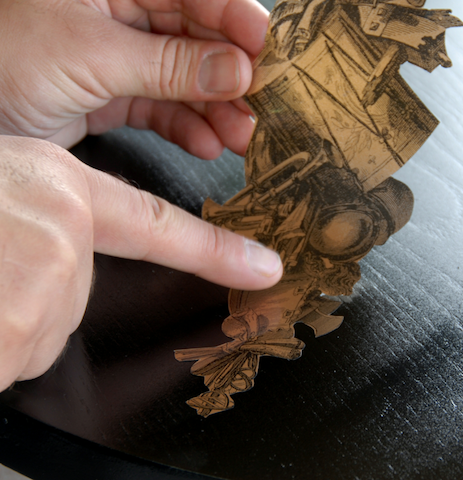 This table isn’t just about decoupage, folks….This is about finding new ways to do it! My first failure was spray painting copy paper with gold spray paint and running it through a copy machine. Boy did I get in trouble for that one! My next few attempts were just as unsuccessful. Then one day I realized that you can copy on clear acetate paper. The light bulb went off and so did I! 1. 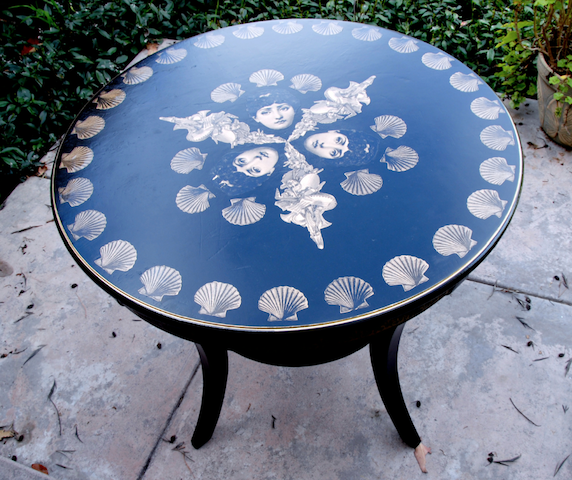 Spray paint your table with the high gloss black paint. 2. 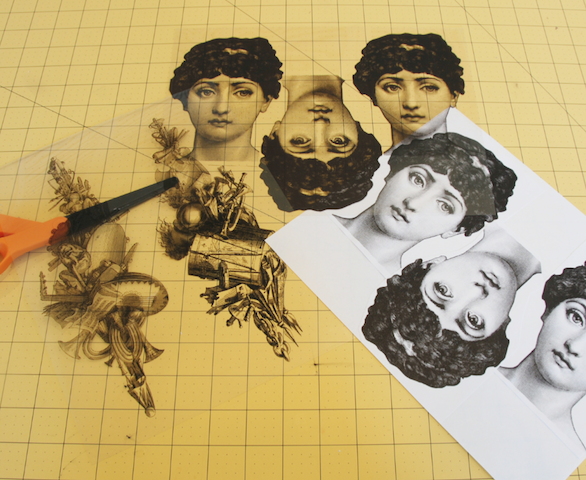 Copy your images at the copy center on clear acetate paper. 3. 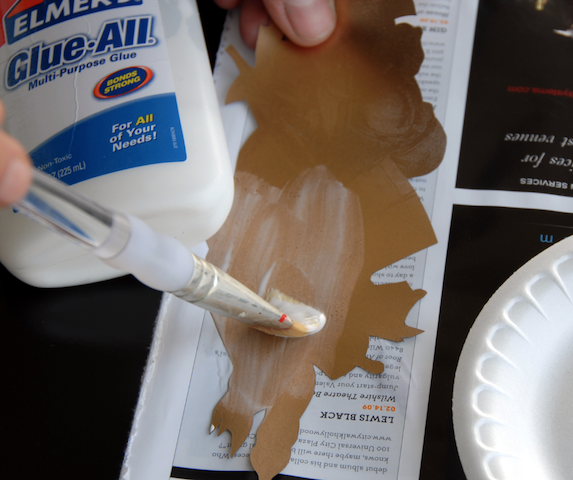 Spray paint the entire page in the metallic gold spray paint. 4. 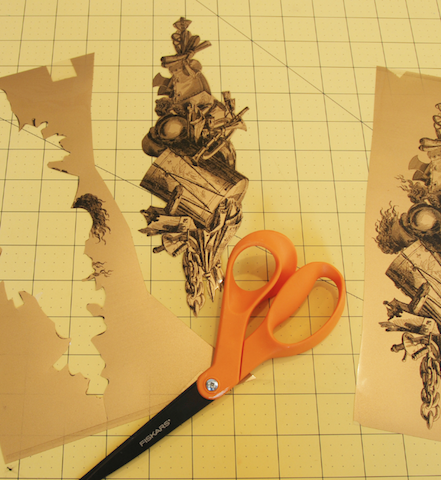 Cut out your images after the metallic paint is dry. 5. Experiment with your images and figure out where you want them to be placed. 6. 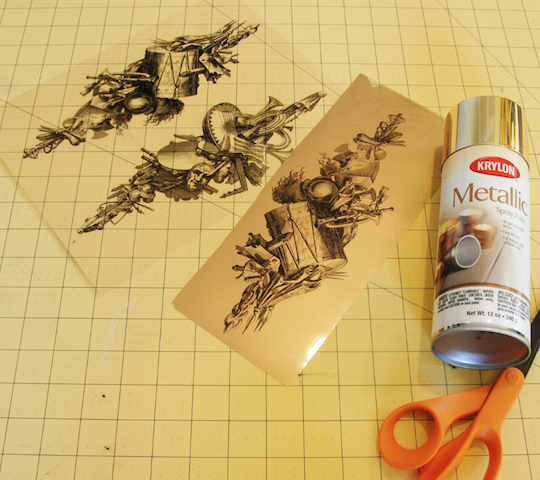 Paint the metallic side of the image with glue and adhere it to the table. 7. Continue this until the entire table is covered the way you want it. 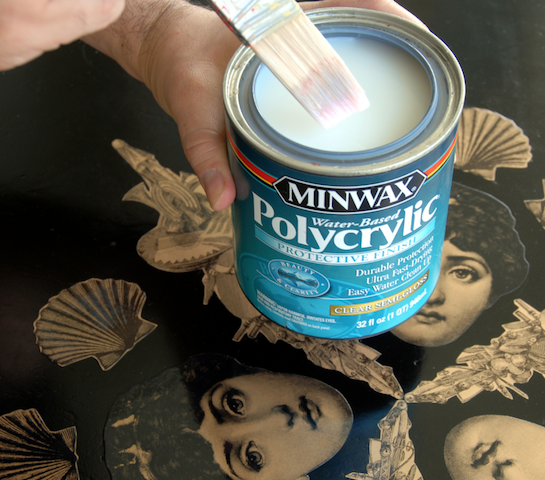 Minwax Polycrylic Protective Finish with your 2” wide latex brush. 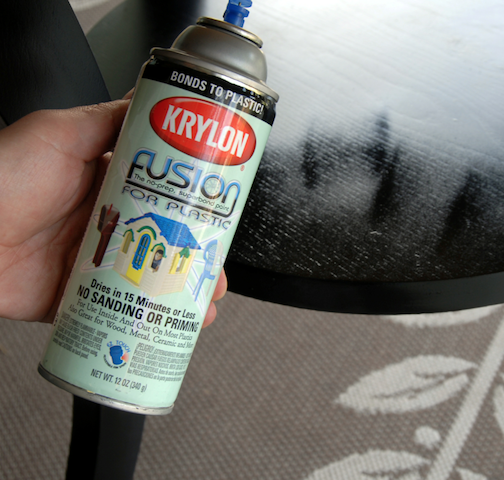 For an extra special touch, take a Krylon Gold Painter's Pen and edge the table. That table is AMAZING! Love it! I need to go thrifting now and find me a table! Seriously, you outdid yourself AGAIN! I love how authentic the table turned out and would love to try it myself. Thanks for sharing your innovations with all products CRAFTY! 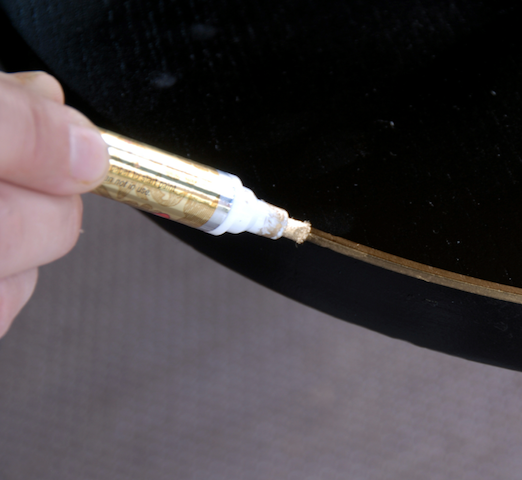 TIP: For those who don't have a steady hand, hold a finger, I usually use my ring finger, along the side of the table to keep it even as you paint the line with the paint pen. OMG!!! This is gorgeous! You are a genius! Very cool! But then again everything you do is amazing :-) I love it! Awesome idea! Adding this to my "things to try" list.